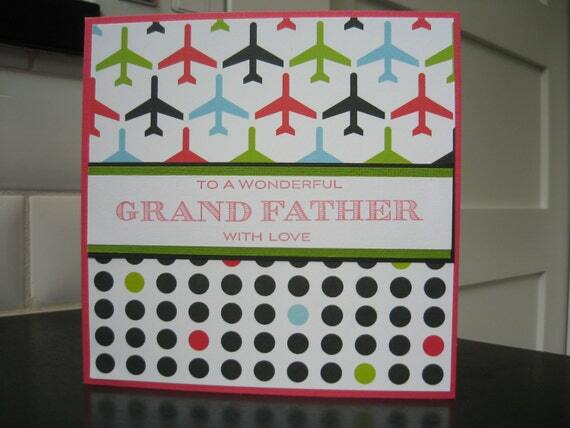 This card could be used for a father's day card, a birthday card or a thank you card for your grandpa--basically for any occasion you'd like to send good wishes to him. 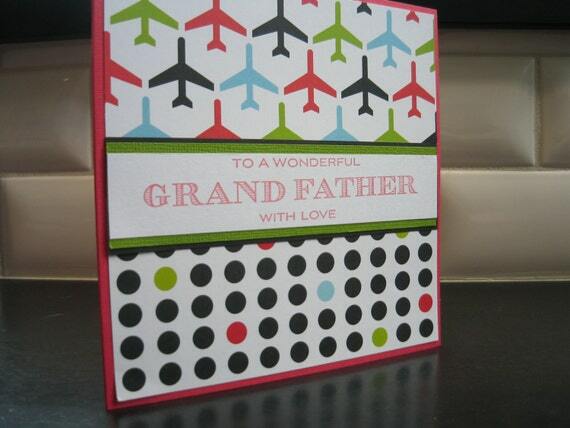 Card is red and has been covered in 2 coordinating patterned papers. 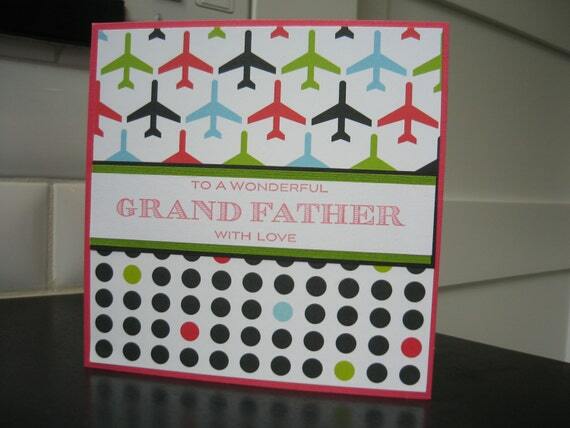 "To a wonderful grandfather with love" has been stamped in red. 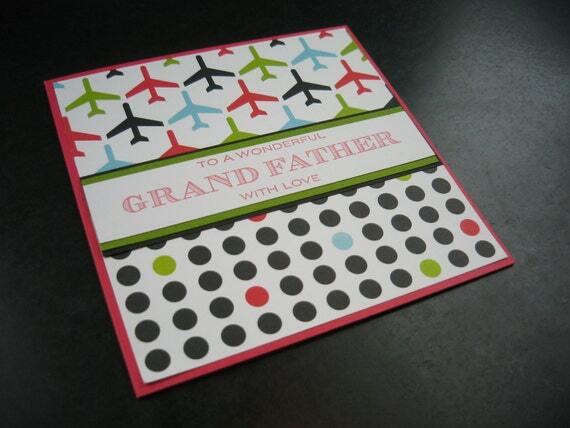 A piece of white paper has been adhered to the inside of the card. Card measures 5.5 X 5.5 inches).